Hey everyone! I have a card today using the mini set Texture Tiles: Be Cute (designed by my bud, Nina Yang;) This one of those sneaky sets that may not be the center of attention, but can be used in lots of subtle ways. 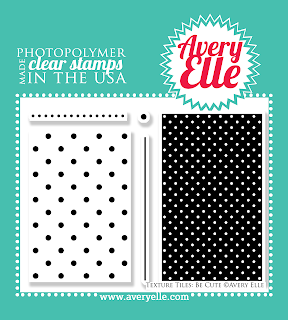 Today I used the solid background polka dot stamp to create a framed background for a Christmas card. I stamped the background in gold (Delicata is my go-to gold ink pad). 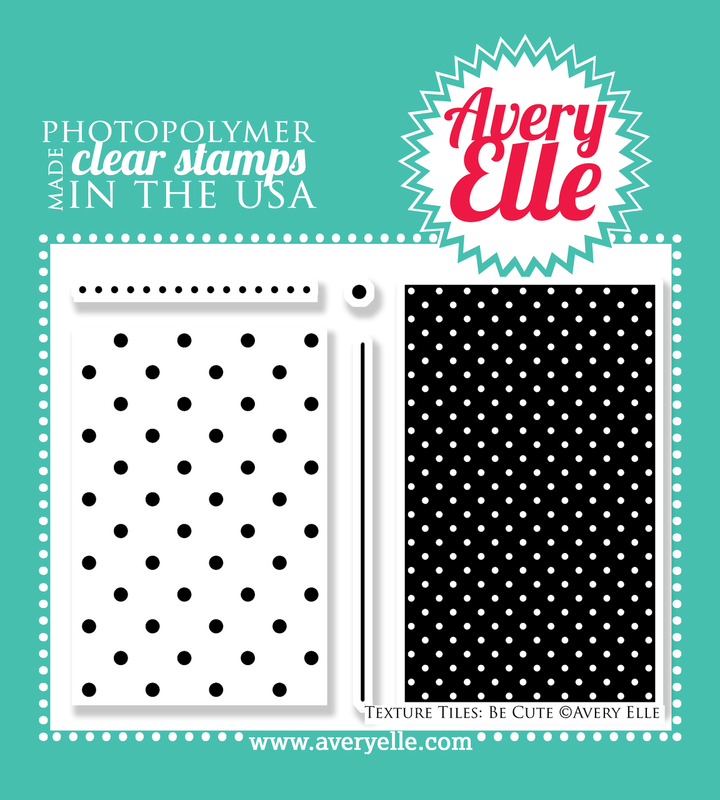 Then I stamped and die cut (wheee!!!!) 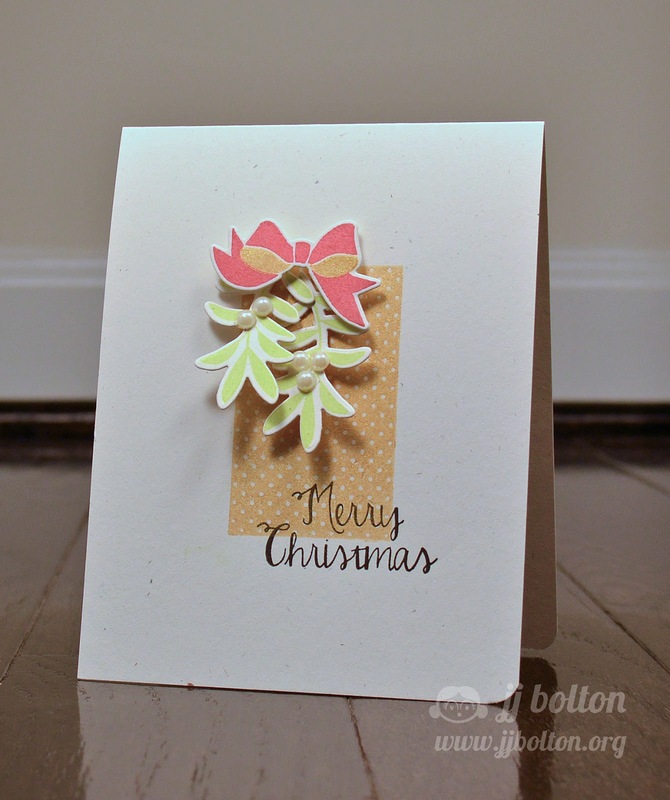 "mistletoe" and a bow using stamps and dies from the new set Laurels. I added a couple pearls for the mistletoe berries too:) The lovely "Merry Christmas" sentiment is from Winter Wreath (love that font). Thank you so, so much for stopping by! Heather is also sharing a project today, so go check her out! JJ, this is WONDERFUL. I am SUCH a Delicata whore, uh, FAN, I mean,(!) for Christmas cards! Love what you've done here! Absolutely stunning JJ! Love all that gold, and such a great way to use the tile to ground everything! Gorgeous CAS card! Love it! Oh, JJ...this is absolutely gorgeous! I love the soft colors and how perfectly your wreath looks with the polka-dot background! Clever mistletoe, JJ! Love it, especially against the delicious Delicata Gold! That font IS fabulous :) Love the subtle gold tone, and the fun mistletoe!! So simple but so lovely. The gold and the pearl berries add such a special touch! Love all the elements on your card.